What makes an automobile “collectible” in today’s world? The consensus seeks the following minimum components – stunning visual design, technological advancement, and produced in very limited quantities. Here we have an offering that checks all the boxes, and with Italian flair! A true modern collectible, heralded by the motoring press since day one. 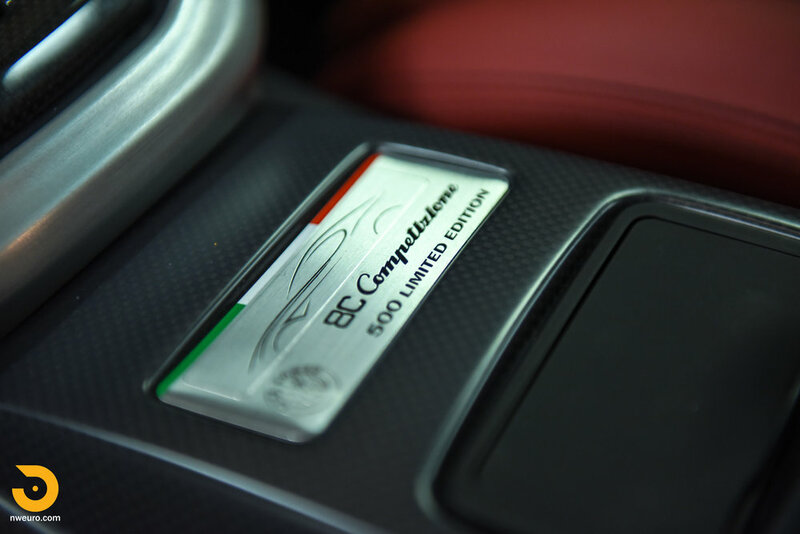 With just 500 of these 8C Competizione Coupes produced worldwide, this carbon fiber bodied car is exceedingly rare, furthermore so being a USA registered example – understood to be one of just 84. Proclaimed by the motoring press as one of the best sounding cars ever produced, it is a treat to see and hear this 8C in person. First introduced to great acclaim at the 2003 Frankfurt show, the 8C Competizione was confirmed for production by 2006. “Designed and developed at the Alfa Romeo Style Centre, this prototype will become a true brand icon, evoking a great sports car tradition of which the name is part. In the Thirties and Forties, the '8C' signature that returns here, identified the racing and road cars that were equipped with the new eight cylinder engine developed by the famous engineer Vittorio Jano. The term 'Competizione' on the other hand, is a tribute to the 6C 2500 Competizione, the sports coupé driven by Fangio and Zanardi in the famous Mille Miglia race in 1950. 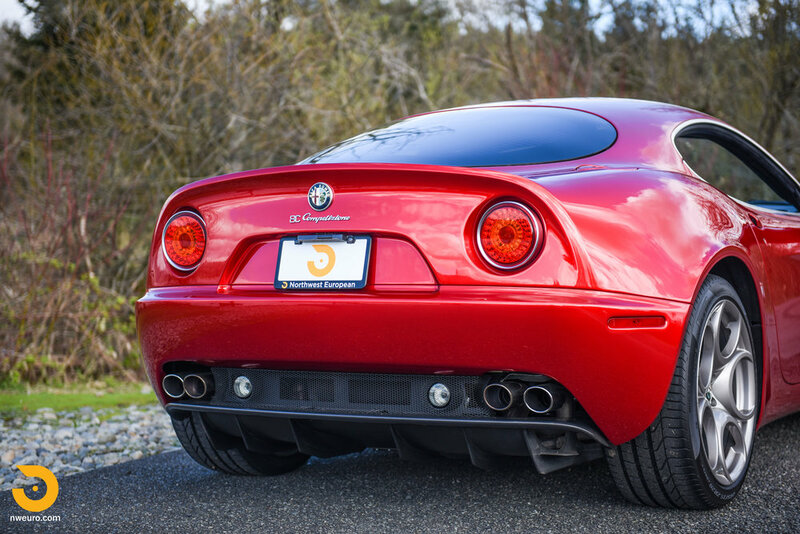 This one owner car has been properly maintained and driven by a true enthusiast. Yes, the car has been on the track several times (this is where Alfa was born! 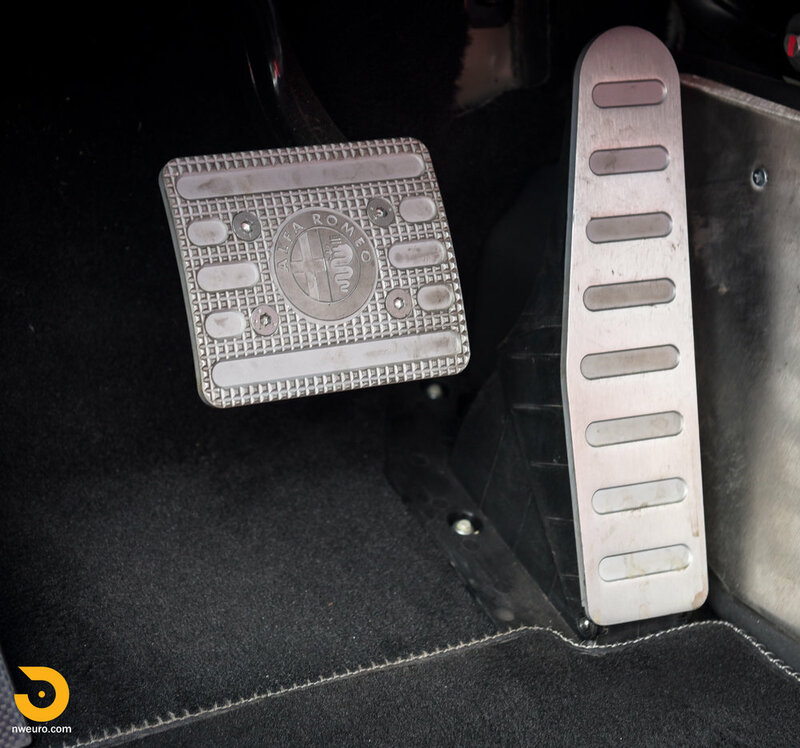 ), and has been enjoyed on many a long road trip (a custom installed Passport radar detector system is present). The Alfa currently shows 18,900 miles on the odometer. Maintenance has been handled exclusively at Ferrari of Seattle, with no expense spared in ongoing preventative maintenance. Brakes are in excellent condition, and newer tires have just a handful of miles on them, showing 80-90% tread depth. Fresh out of a major service, the car has a clean bill of health across all systems, and is ready for use immediately. Cosmetically the car is in excellent condition. From the first day of ownership, the paint was clear wrapped knowing it would be driven and used. This clear wrap has just been professionally removed in preparation for sale. There are no rock chips on the paint. As you can see in the pictures, there is no wear present on the seating surfaces (note that woven leather! ), or steering wheel. Enjoyed, and properly cared for since day one. Offered with the original factory window sticker, delivery documents, manuals, books, tools, factory battery charger (and box), air compressor, and two keys. The beautiful, supple, and stylish Alfa Romeo factory leather luggage set is of course present, and even has the delivery bags that they first came in. Fresh from a major and thorough service in preparation for sale, this Alfa Romeo 8C Competizione is ready for the next caretaker and chapter. This car is one to be enjoyed and used today, while knowing the future of something so rare will always be coveted. 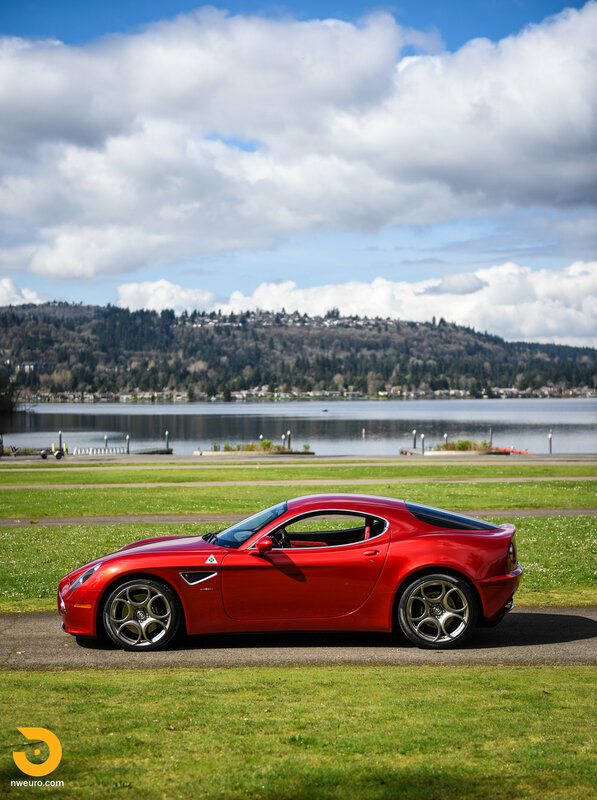 Please call Jason at 206-355-7727 for more information on this Alfa Romeo 8C Competizione for sale.